Few experiences can beat swimming with wild dolphins in crystal-clear and warm waters. But how about doing just this and then returning to a luxury hotel to watch the sun set over the Indian Ocean? That’s exactly what’s on offer in Zanzibar where, alongside some of the finest hotels on the planet, the small fishing village of Kizimkazi gives nature lovers the chance to enjoy this life-changing experience. Small boats carry tourists out from the centre of the village into the calm waters, where schools of curious and friendly bottle-nosed dolphins await. 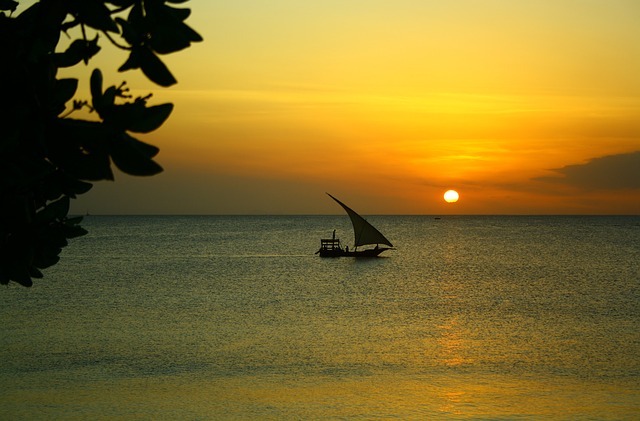 Alongside this magical experience, you can also see Zanzibar from the sea, giving you the opportunity to really appreciate its natural beauty, complete with lush forests and clean white sandy beaches. For the best chance of seeing the cute cetaceans, get your fisherman-guide to take you to Menai Bay, a picturesque rocky cove where the dolphins like to gather in the late afternoon. But friendly dolphins are not the only attraction awaiting the intrepid holidaymaker in Kizimkazi. The village may be small, but it of huge historical significance. It’s here you can find the remains of a mosque, dating back almost 900 years and, since it’s the earliest evidence of Islam in the whole of East Africa, is well worth a visit. What’s more, the mosque is also decorated with verses from the Koran, widely regarded as the oldest examples of written Swahili anywhere in the world. Visits can be arranged at the entrance to the mosque itself, located just to the north of the main beachfront, but be sure to dress modestly with your legs and shoulders covered up before entering this ancient place of worship. And then, back to your luxury hotel to enjoy a dinner of fish caught from the very area in which you were able to tick swimming with dolphins off the bucket list.